The value of good topsoil cannot be overestimated. Without it, our plants, lawn and food crops struggle to survive. The depth of the topsoil will depend on where it is being measured. Farmlands that have been exhausted may have no viable topsoil left. An undisturbed forest area will have a thick layer of topsoil that has built up over the years. Topsoil has two distinct layers. The visible layer will be organic materials at different levels of decomposition. Just below this layer will be completely decomposed materials called humus. When you make garden compost, you are creating a type of humus. Topsoil contains the health giving qualities of the soil. It is made up of biological materials such as decomposing leaves, bark, fruit, animal matter and rock. Without this nutritious layer of soil, plants do poorly and food crops contain far fewer vitamins and minerals. As a result of years of intense agricultural practices, much of the topsoil is gone from farmlands. Overgrazing has also taken its toll on the land. It is important to allow soil to rest and recuperate between plantings. Overused soil must be replenished with the addition of soil amendments. Chemical fertilizers feed plants and disappear, putting nothing back into the soil. Organic fertilizers such as manure and lime add materials that help restore the top layer of soil. Damage to soil in populated areas often starts with construction. The top layer is often scooped away to build a house or business. This topsoil should be piled to the side during construction. This healthy soil can be put back down where it will be needed for planting. Unfortunately, topsoil is often hauled away without a thought. Left behind is the lower layer of soil that might be pure clay or lifeless soil with little nutritional value. Topsoil can be replaced. Landscape companies usually have several choices. You will need to buy it by the truckload. The soil is the most important purchase you will make for your landscaping or garden. Choose a soil mix that has good structure and compost included. The landscape company will tell you what is in each mix. The richer mixes are more expensive but worth it. You can also mix your own. Purchase basic topsoil and add a layer of compost over the top. Finish with a layer of mulch to protect the topsoil from erosion. Even if your topsoil is in place, it must be maintained. A yearly evaluation of soil should be done. Never let a season go by without replacing some of the nutrients being used. A layer of compost, leaf mold or even bark can be applied in spring or fall. An easy approach is to top-dress planting areas with 2 inches of compost each year. Manure or shredded leaves can be applied to bare resting soil over the winter to decompose. The structure of your topsoil is important to plant roots. Tilling can be destructive to your soil. Make sure that the soil is not saturated with water when you till. Work the soil after the growing season when the soil is dry. This way it will be prepared for spring planting. Tilling soils when they are saturated will cause topsoil to clump. This compacts soil particles and reduces the air and water flow to your plants. Do not drive large equipment or vehicles over your topsoil. This will compact the soil. Good topsoil should be loose or fluffy. 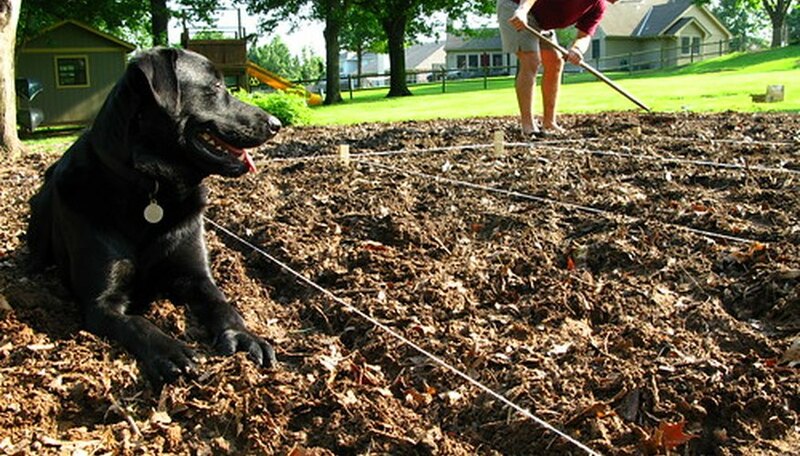 Raised beds eliminate the need to use tilling equipment.